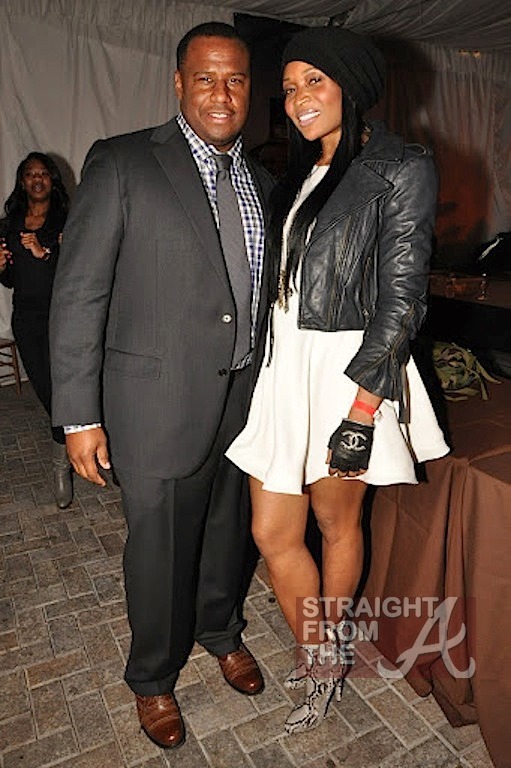 For those of you who still want a glimpse of Marlo Hampton, the former background character on last season’s The Real Housewives of Atlanta, she was recently spotted attending ATLLive on The Park (November 13, 2012). Hampton, pictured above with the event’s co-creator, Marlon Nichols, donned her familial designer duds as she enjoyed musical performances from Yweda, Brian Davis and Anthony David. It was fun times at the circus last weekend as a few Atlanta housewives hit up Cirque de Soleil (October 27, 2012). 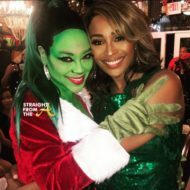 Celebrity hairstylist Derek J and RHOA season 3 B-character Marlo Hampton joined Real Housewives of Atlanta’ Cynthia Bailey, Phaedra Parks and Kandi Burruss as they took in the acrobatics of the popular traveling french tour group. 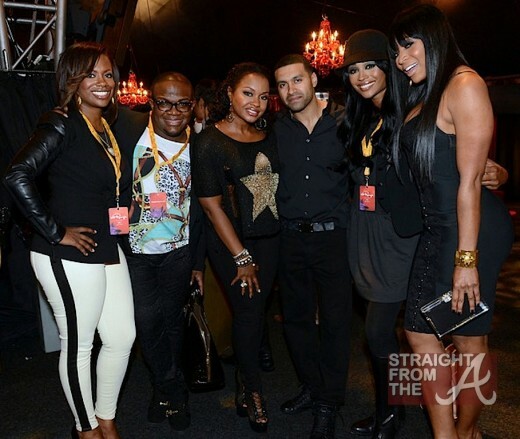 Phaedra & Kandi’s significant others, Apollo Nida and Todd Tucker, also joined the group and the couples were also spotted out on a “double date” as they celebrated Park’s birthday. Nene Leakes of The Real Housewives of Atlanta made yet another appearance on The Wendy Williams Show yesterday where she discussed her newest gig on NBC’s “The New Normal”. 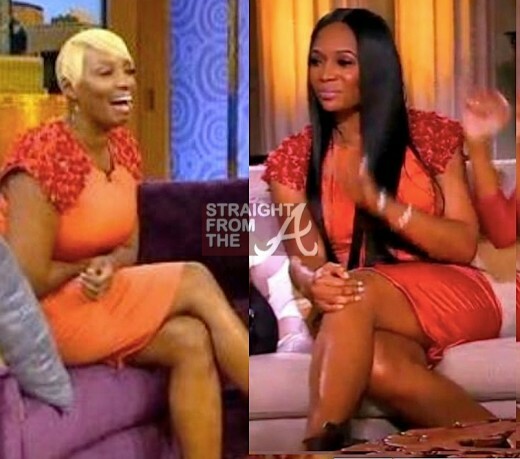 While most were soaking up Leakes’ bright smile, many RHOA fans immediately recognized her attire..
Could it be that since Nene’s made it into the pages of Vogue Magazine, she’s trying to rub it into Marlo Hampton’s newly nipped/tucked face by flossing the fashions that only Marlo could afford back then? 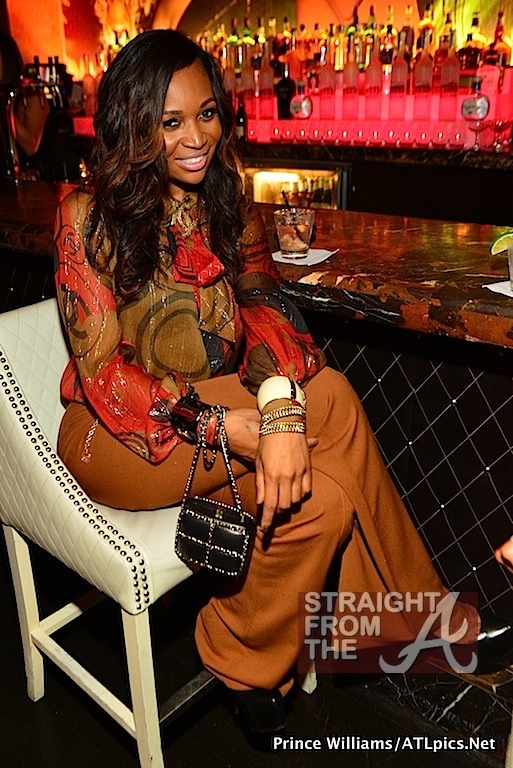 Marlo Hampton, the former background character of The Real Housewives of Atlanta, was spotted celebrating with NYC rapper Nas at Vanquish night club last night (September 20, 2012). The fashionable diva is rumored to have gone through a lil nip/tuck in recent months and she’s looking better than ever. 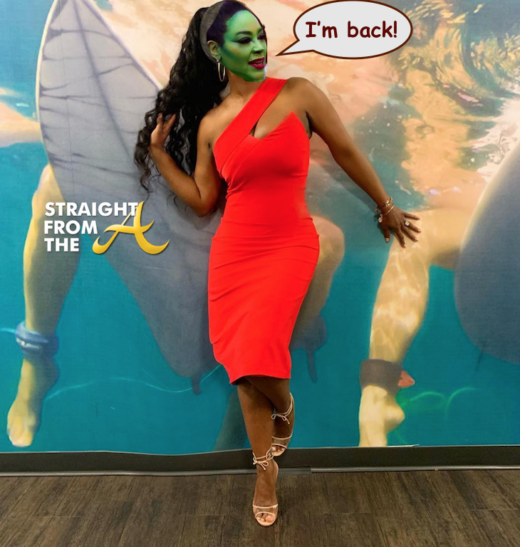 Being that she’s reportedly NOT returning for Season 5 of RHOA, there has been speculation that Martavious Marlo is on the hunt to secure her high-priced future. 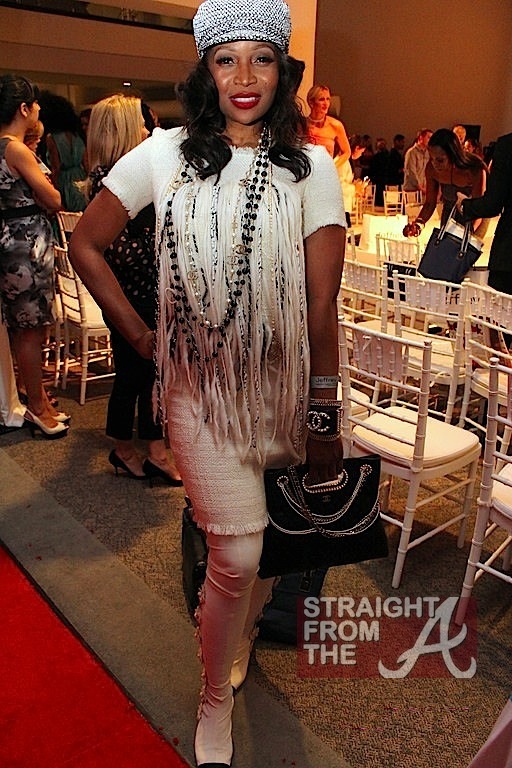 After being gone from the scene for a few monts, Marlo Hampton, the former background character on season 4 of the Real Housewives of Atlanta was recently spotted out and about in Atlanta. Has Marlo had recent work done to her face? 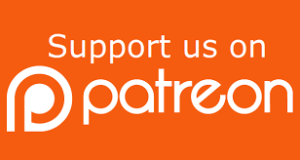 My coworkers and I are having a debate on this, and even if you don’t reply, we will be checking your blog to see if you notice the changes as well. Rapunzel Marlo Hampton, your favorite background character from The Real Housewives of Atlanta, was spotted arriving for dinner at Mastro’s Restaurant in Beverly Hills, California (July 3, 2012). The real “mistress” of Atlanta let her hair down (literally) as she hit the hollywood scene in haute couture paired with 35 inches of that premium virgin indian remy just days after she hit Detroit with celebrity hairstylist Derek J.